This weekend brings all things tiki to Portland in the over-the-top extrava-palooza called Tiki Kon. The announcement reminded me of a story I wrote in 2011 for MIX magazine about the Nielsens, a father-son duo who were part of the budding tiki renaissance and helped put Portland on the global tiki map. 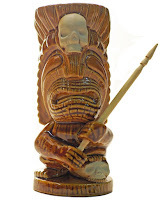 It was the summer of tiki here in the Rose City. The mayor declared August as Tiki Month, several bars featured tropical drinks in its honor, and Trader Vic’s returned to the city after a 15-year-long absence. You would think we had just discovered a new trend, but actually Portland has always had a soft-spot for Polynesian pop, from the venerable Alibi and Thatch tiki bars, to Tiki-Kon—a three-day, mai tai-fueled homage to the exotic that comes around every July. 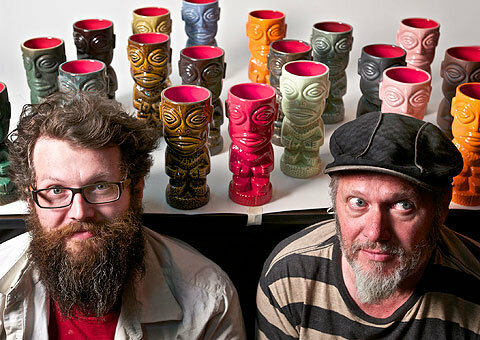 Paul and his son Miles are the duo behind Munktiki, a ceramics company with a cult following among tiki-philes worldwide. 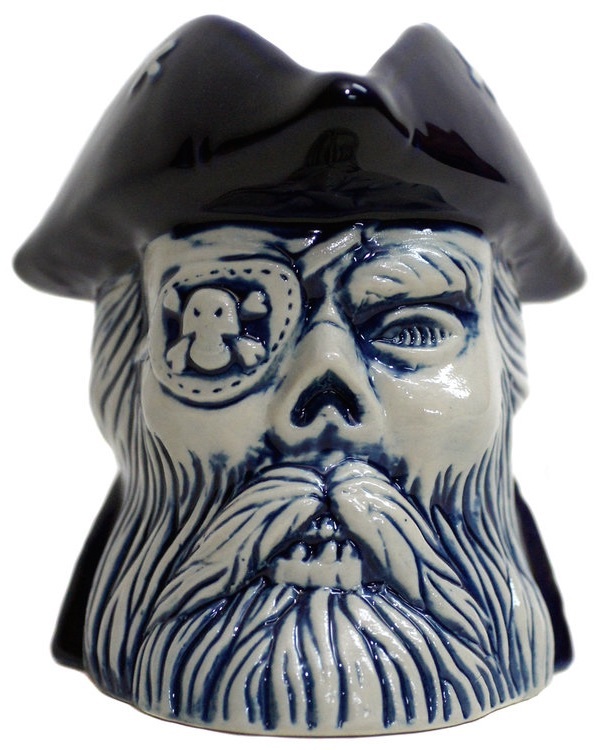 Working side-by-side out of Paul’s garage, their handmade, limited-edition mugs have been known to fetch hundreds of dollars. They even designed a custom mug for the new Trader Vic’s. It all started more than 10 years ago. A native of Monterey, Calif., Paul had built a big commercial ceramics business there, making bathroom accessories for companies like Bed Bath and Beyond, as well as teapots for museum gift shops at the Smithsonian and the Guggenheim. But being big wasn’t satisfying his craving for creative expression. He’d also become tired of the music he’d been listening to, mostly Punk and New Wave. “It was kind of getting tense, and cocktail music is relaxing and fun, and a great blend of jazz and exotica,” he said. “So I went to thrift shops and started buying the old albums by Martin Denny or (Juan Garcia) Esquivel. He started making cocktails to pair with his newfound musical fascination. “I thought it would be fun to have a tiki mug to go with the drinks, so I made a volcano bowl tiki mug,” he said. On a whim, he took some samples to a New York gift show. 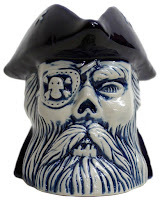 He and Miles, who’d been helping his dad with the ceramics business as well as running his own business making pipes for head shops (aptly called Stoned Ware), decided to close down and form Munktiki in 2000. They decided to move their operation to Portland because it had a more convivial tiki scene—but one problem nearly stopped them in their tracks. “I think we went three weeks without anything drying out and finally got our act together,” Paul said, pointing at the heater and dehumidifier humming away in the corner. When asked what advice he’d give to someone wanting to dive into tiki culture, he simply leads the way into his basement showroom. Opening the door was like stepping back 60 years, all shag carpeting, dark paneling and midcentury art hanging on the walls. * The Nielsens no longer live in Portland, so the Bus of Rum tour of home tiki bars no longer concludes at their home, but their love of tiki is shared by many home bartenders who are included on the tour.